Its the time of the year when the pumping carving begins, the spooky decorations come out, and everyone prepares for the costume parties. There are so many unique and bizarre costumes that I decided to compile some of my favorites ranging from the most controversial to the most accurate. 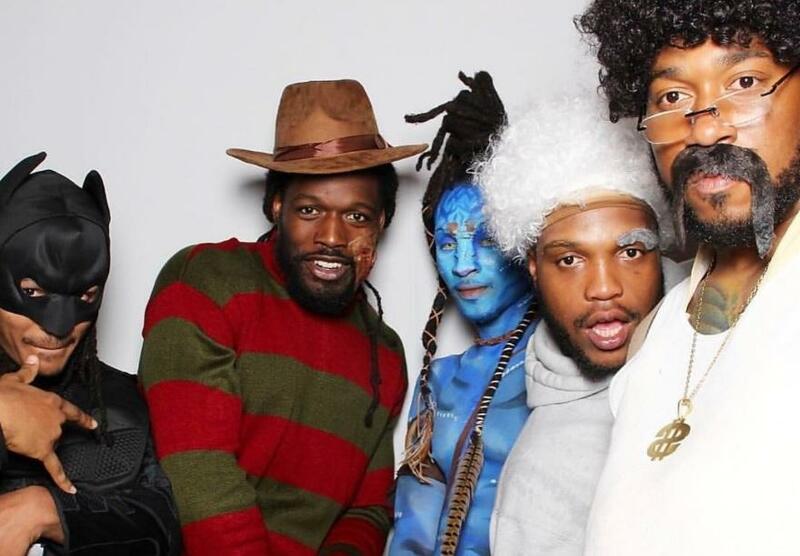 Here are some of the best Halloween costumes of 2018! I found this particular costume worthy of making the list for one reason, it's Stone Cold Steve Austin! While we are taking a trip down the memory lane of the 1990's, how about this duo's costume that needs no explanation? Can you guess who this is? He may have lost his last fight but Conor McGregor is still as popular as ever! This next costume takes someone extra tall to pull off, so that is probably why professional women's basketball player for the Washington Mystics Elena Delle Donne chose it! This next Canadian couple gets the award for best makeup! Bahamian basketball player DeAndre Ayton decided to take things to the creepiest level possible with his costume from Stephen King's "It". As far as the costume that best resembles the person they intended to mimic, the award goes to Chiney Ogwumike for her Serena Williams cosplay. I wonder if she can do the whole tantrum part too? This one from basketball player Maurice Harkless of the Portland Trail Blazers had me laughing pretty hard. This costume shouldn't need any explanation if the name Dave Chappelle means anything to you. Basketball shortstop Didi Gregorius did a great impression of Disney Marvel's Black Panther. Wakanda forever! Hockey player Ben Bishop and his plus one went full Disney with their matching costumes. This might be one of the best "Beast" costumes I've seen! This final costume is from DeAndre Hopkins of the Houston Texans and has to be one of the most elaborate, time-consuming, and uncomfortable of them all but it sure does look amazing! There is one last costume that I wanted to mention simply for how controversial it is and the backlash that this <a href="https://thehill.com/blogs/blog-briefing-room/news/413552-father-apologizes-for-dressing-son-as-adolf-hitler-for">father and son duo faced for dressing as Nazi's.</a> That's it, folks! Happy Halloween from The Goldwater!